With professional IT support in Orange County, you can get in on one the latest technology solutions. Cloud computing opens some amazing opportunities, not only for the individual user, but more so for the growing business. The best part of it is that you don’t have to set up the infrastructure yourself, and you can begin making use of the cloud as soon as you’re ready. Cloud computing is made possible through virtualization technology. Virtualization allows a ‘virtual version’ of something such as a storage device or even a network to be made. Instead of having a computer tied to a single operating system and set of applications, virtualization software acts as a layer between the two. This means that you can now install operating systems and applications on multiple servers and on multiple computers, as a result. There are several benefits that this presents for your business through cloud computing. You can minimize disruptions in your operations when you back up your business systems to the cloud. With a hybrid system, you can make use of your on-premise private server and augment this with a cloud backup. In the event of a business disaster, you have business continuity while you deal with the situation. If you are starting out and are not able to set up your own network, you can use public cloud services. This is a cost-effective solution as you only pay for the cloud space that you use. You can thus scale up your cloud usage as needed to accommodate the growing needs of your business. Additionally, all the maintenance and management of the service is handled by the provider. If you’re expanding your business and need additional data storage space and disaster recovery support at a manageable rate, you need an expert in IT support in Orange County. 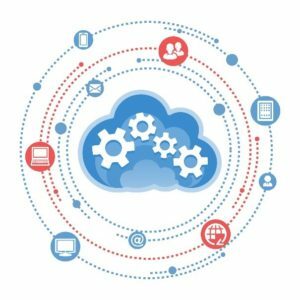 At Intelecis, Inc., we pride ourselves in delivering comprehensive cloud computing service, in addition to other IT support and cyber security services. Get in touch with us to learn more about our services.